Authentic Learning in the classroom helps the students make the connection between the knowledge taught and real world issues, experiments, applications, and problems. 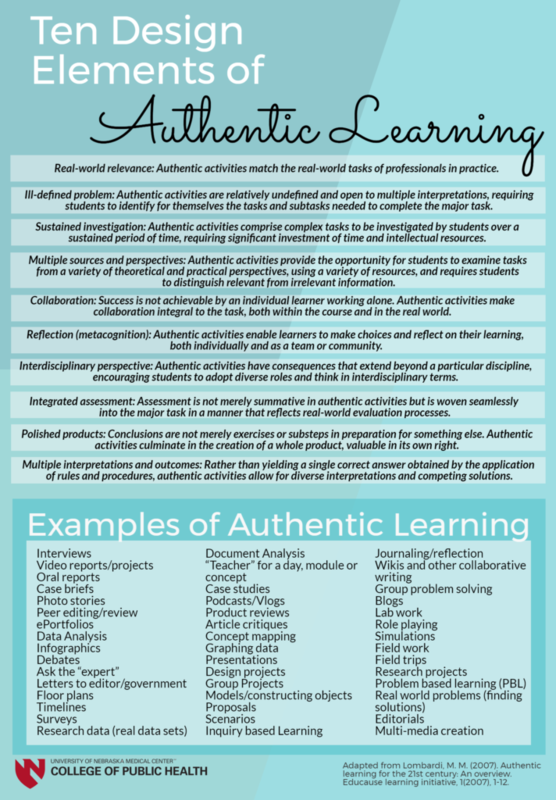 The Ten Design Elements of Authentic Learning paint a picture of what authentic learning looks like in the classroom. After reading the design elements, check out the ways that you can use to incorporate authentic learning into your teaching. 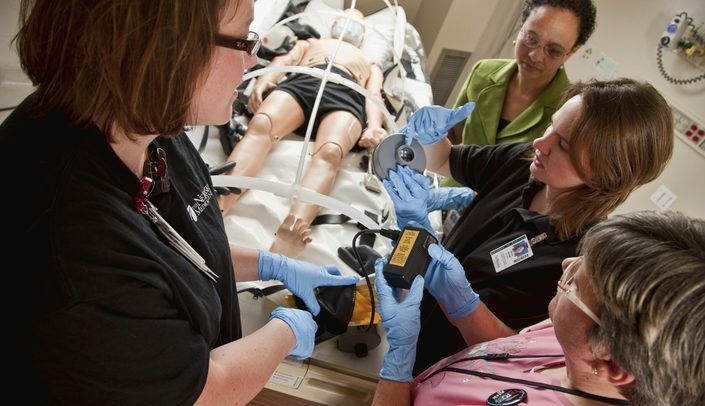 Chances are your course already contains authentic learning activities and assessments!